ANNA WITH DON OMAR ON THE SET FOR VIDEO "SOLEO SOL"
Anna's world entertainment offers variety of entertainers such as belly dancers, ballroom dancers, Hawaiian hula dancer, Brazilian samba dancers, magicians, fire eaters, flamenco dancers, gypsy performers, dj, belly dance show with live snake, aerial and contortionists, puppet show, salsa dancers,tap dancers and Hollywood Indian dancers. 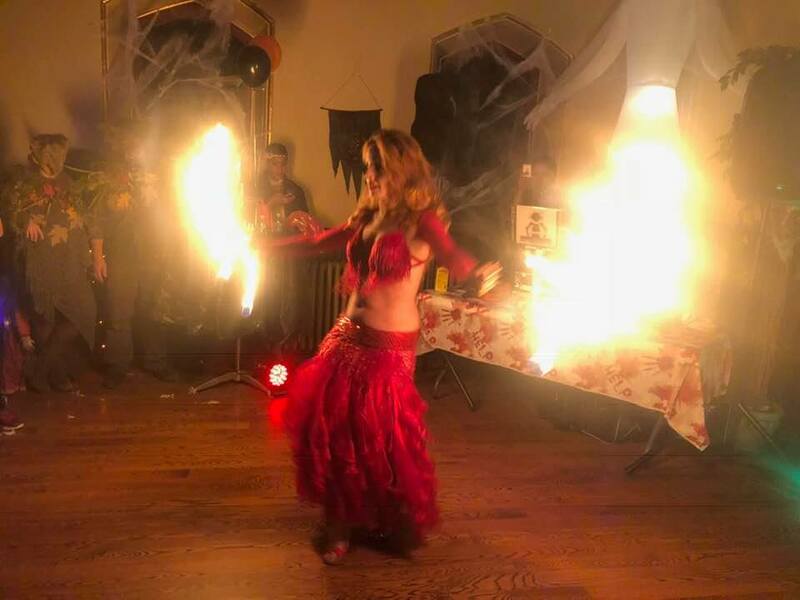 Anna is a professional belly dancer, she also has a magnificent flamenco and gypsy show to offer for events. All the shows can be customized upon your request. anna was amazing! Enjoyable entertaining and professional! She was totally professional and the absolute hit of the party. Interacted with young and old in a respectable and fun manner. 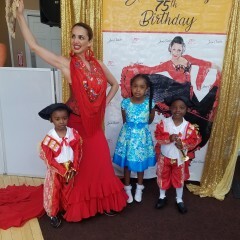 We had 2 Samba dancers that really rocked the audience and birthday lady with their performance. Our family loved everything about it and the interaction with the dancers. It was the Party of the year with the help of Ana and team!! My family and I really enjoyed the performance. Thank you! Anna was amazing. Extremely talented friendly and professional great at what she does and getting all my guests involved. Thank you so very much:)! Anna was amazing! 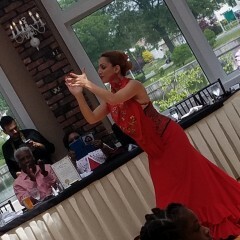 Her flamenco dance was breath taking! 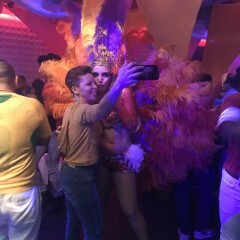 Our guests absolutely loved her! Great personality n great with the crowd!! Highly recommended!!!!!!!! Thank you so much ,it was my pleasure to be part of your celebration:)! Hello Maria, I am sorry that you are this disappointed but i also need to mention that I apologized many times and you said no worries it's ok and called also letting you know that I am in traffic right after I got your messege ,sometimes when you are driving you are unable to answer right away and when I called you back right away I literally was 10 min away and you decided to cancel saying party is over ,I was only 30 min late from agreed performance time , next time you need to schedule performance time not towards the end of the party but somewhat in middle of it , sometimes performer gets stuck in traffic and can be late ,and again I only was 30 min late and reached out to you saying that I am 10 min away from your house after driving to your place almost 2 hours and you decided to cancel on me and that was very dissapointing but again I apologized and you were ok with it and i refunded your deposit right away. The show was amazing! My daughter was very surprised and very happy! Excellent Performance that entertained and dazzled the guests. She engaged all the guest to dance along. We had a wonderful time. Thank you once again Irina, I appreciate it! 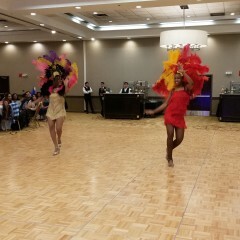 Gris and Lauren performed to Samba music at my brother's 21st Bday. They were very sweet. Wonderful and positive vibes. They both always had a smile on their faces from the beginning to the end of their performance. Thank you so much for your review, truly appreciate it! Thank you so much Arturo! It was truly our pleasure! Her costume and perfomance was fantastic. It was my husband's 50th birthday, he didn't know anything about it, I kept it in secret.. Amazing performance, the python was very friendly. 😊 I really appreciate it. Thank you so much Anna! Anna was amazing! On time and very pro. Thank you so much! 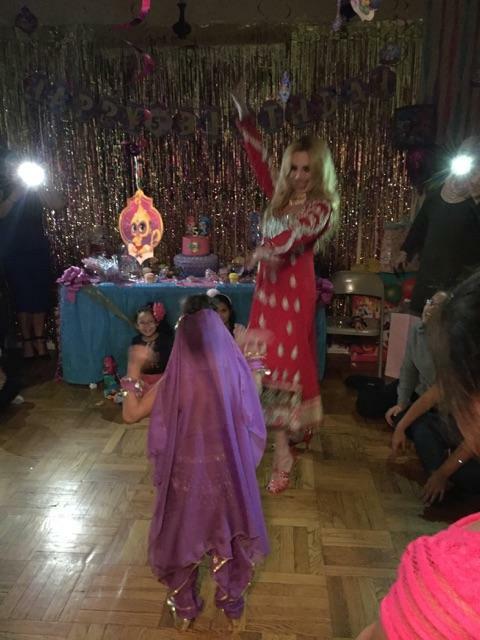 I would recommend Belly Dancer Birthday Surprise. Thank you very much! 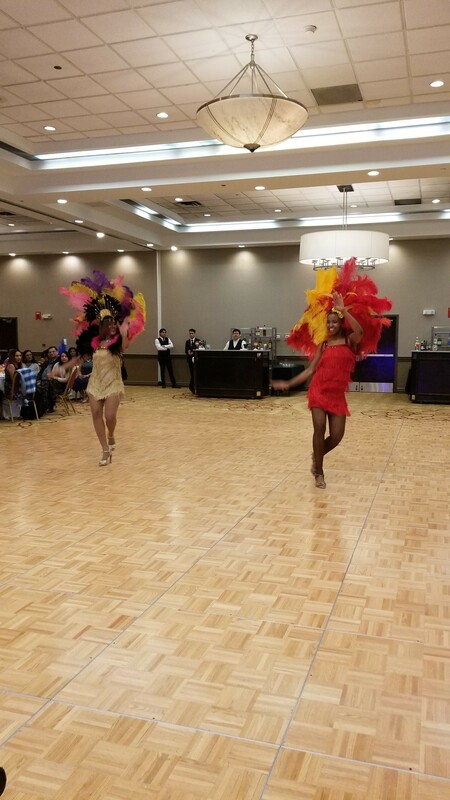 It was truly our pleasure to be part of your event! Anna was an amaxing entertainer! She was friendly and energetic. She had everyone dancing after her performance which everyone was raving about. The only reason I'm giving 4 star is because she was late due to traffic. Great show - very entertaining ! She was spectacular, very professional and talented. She performed in my wedding and it was a hit. 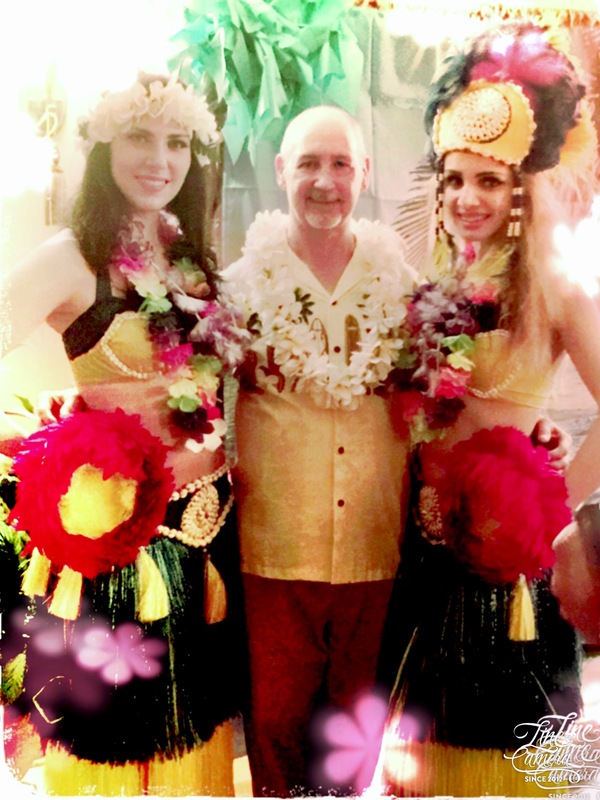 I was looking for a hawaiian dancer for my 30th birthday in gigsalad and booked Anna. The process of booking was smoothe. Anna was very professional and punctual. She was very nice enough to get to my party 30 min early as I requested. Her performance was entertaining. 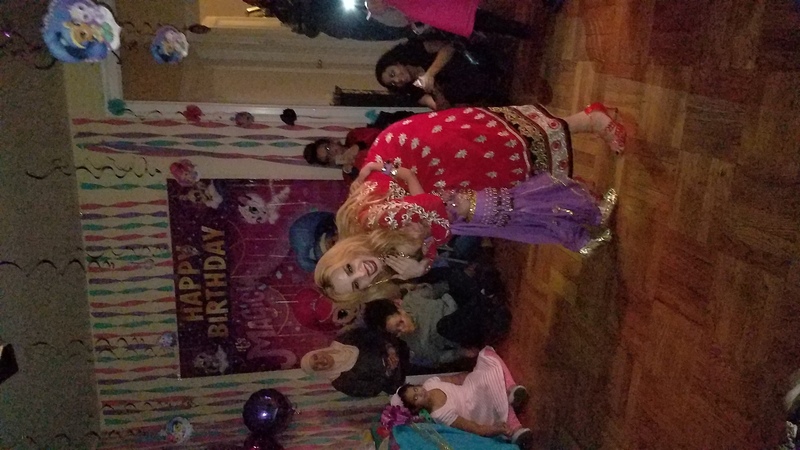 Little kids loved her and thought she was Moana :) My guests keep raving how I had a great party. Thanks Anna for making it extra extra special! Thank you so much for having me:)! It was truly my pleasure ! I would highly recommend Anna. Everyone at my event really enjoyed her performance. She was engaging and lots of fun! AMAZING.. EVERYBODY LOVE IT, SHE MADE THE PARTY MORE AWESOME..MY FRIENDS TOOK HER INFORMATION FOR FUTURE EVENTS..THANK YOU ANNA!! 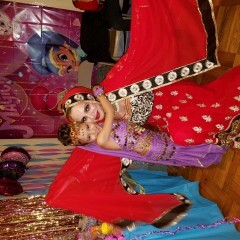 Anna was very professional and an amazing belly dancer! 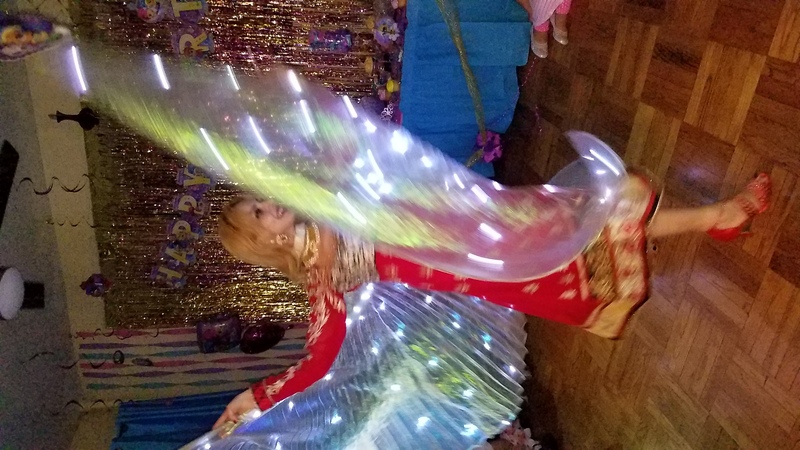 She kept my guests engaged and really livened up the party. 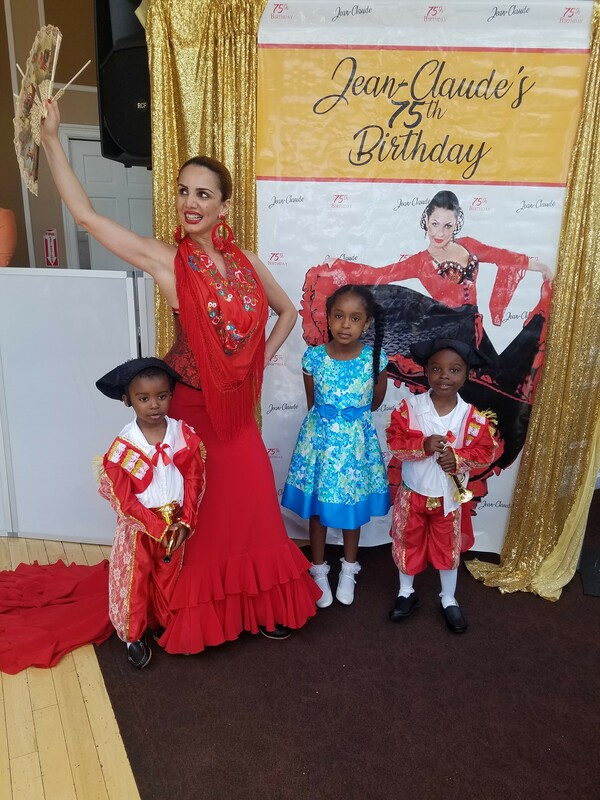 We had Anna's dance partner, Paloma dance at our event. 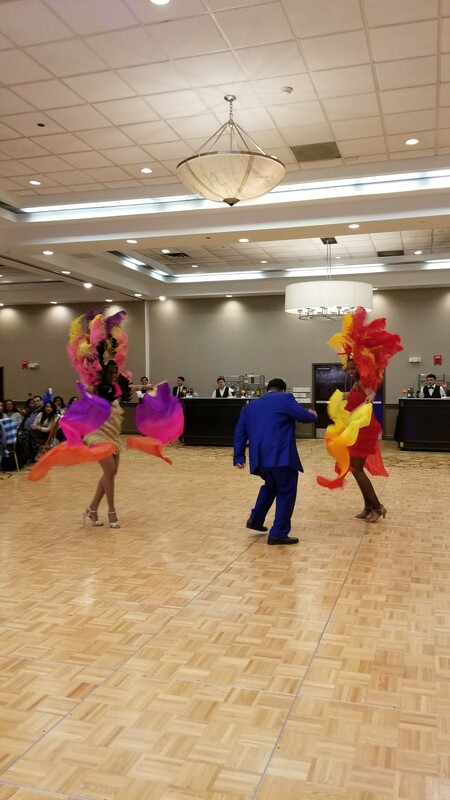 It was a beautiful performance, our guests were impressed. Great choice of costume for Flamenco show (rich green)! If we were allowed to give more stars, Anna and her group definitely deserves it....very professional! The kids and adults enjoyed the show and audience participation. We highly recommend Anna. As my headline states - it was indeed a great show. 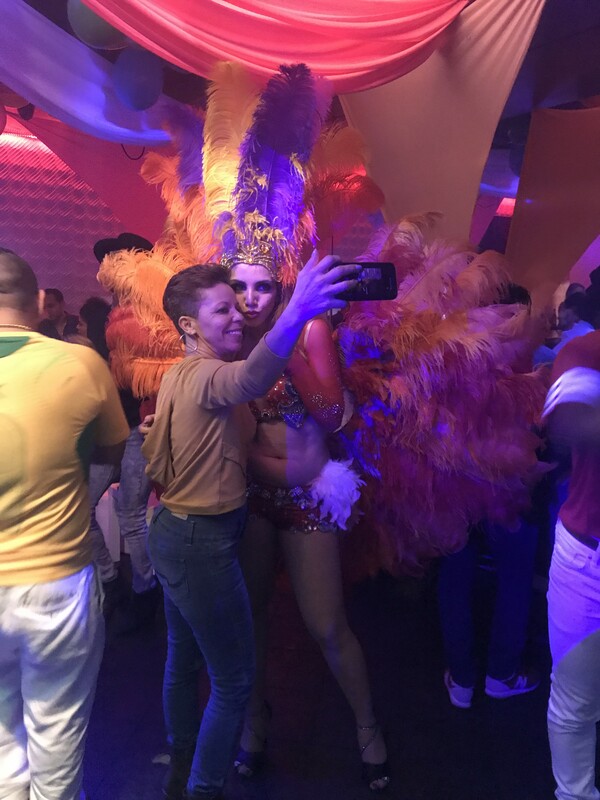 My disappointment was in the performer's lack of attention to the needs of my event. 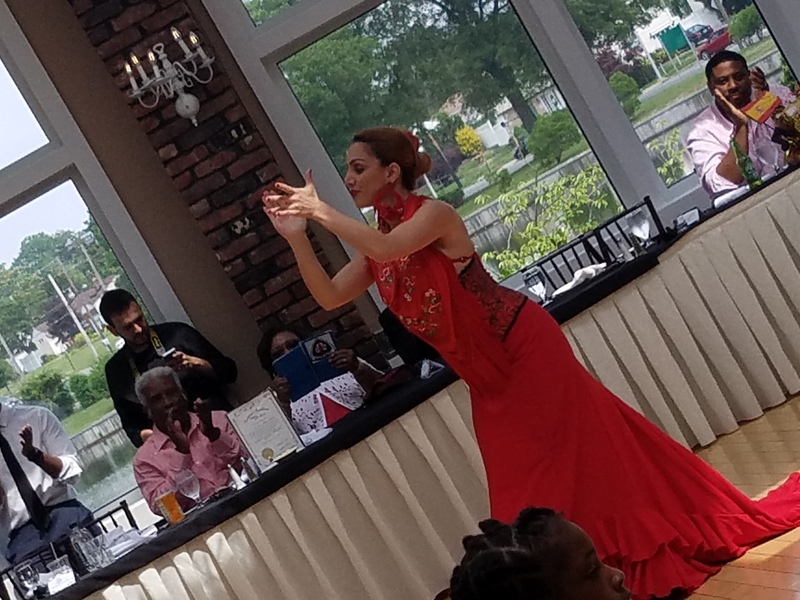 The performer got there about 15 minutes prior to the contracted time and told me they had to go on right away because she had another show in NJ. My members were still getting their dinner so this became a rush rush period although I tried to explain that the best I could do was a 9:10 start but she was very rude and no caring about the event. I have been doing this for over 20 years and performers always leave a little wiggle room because you can't always be so exact. Once she did start (on her timetable, not mine), she cut the show to 25 min leaving the audience a little confused as the dj announced the final dance would be coming - instead it was an abrupt end. When I pulled out my contract showing her a 45 min show, she became argumentative but finally agreed to mingle with the guests for another 10 minutes. Although a great show, I will not use again. I'm not used to working with such rudeness and inconsideration for my event. If you double book an evening, plan accordingly. First of all sorry that you are dissapointed but i must say Our agreement was 8.45pm start i started 9 pm just to make your demand to wait second of all our agreement was 30 min which i shown you then) you told me no its 45 min though it was very rude from yoyr side and not fare at all cause i have shown my agreement on gigsalad 30 min show and plus i started later than agreed i still went back and did extra 15 min just for you. I do ussually have several bookings and i do ask my customers to start on time if i can i will wait but if i cant then i need to start upon agreed time and i wasnt rude i just asked to start on time which i fidnt ivstarted 15 min later just because you were upset and i did agreed show of 30 min and plus 15 min just for you extra so i am very dissapointed with this absolutelywrong review.i am proffessional and punctual with time and no need to put false reviews. 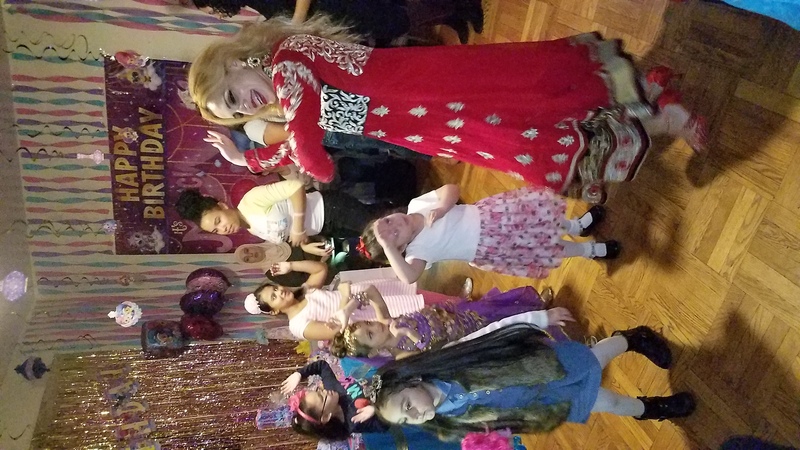 She made our party come alive with her great performance and her petsonable attitude. They were very professional and entertaining. They were puntual despite the heavy rain. Everyone had a great time!!!! 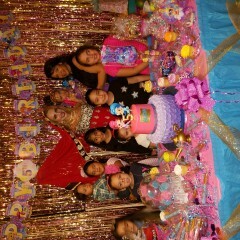 Than you so much for making our birthday partyvery so successful!!! I booked Ana 4 weeks before my event, and we set up the start time of the show with sufficient time. Unfortunately, the day of the event she moved the show start time to a later time and ultimatley ended up not showing to my event. She said it was due to traffic, but I as extremely disappointed. I had planned ahead of time and rejected many other dancer offers, which I now regret. Her show was supposed to be the highlight of the party and a big surprise to my brother, however, this was all ruined because she was unable to make it. Obviously, she is not reliable. Anna was simply AMAZING! She is absolutely beautiful, kind, professional & very pleasant demeanor & ofcourse she is a great great dancer! Her performance was very picturesque & entertaining. 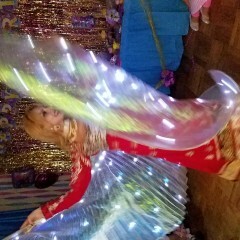 She inspired all our guests to dance non stop to the extend that we couldn't get them out until 1:30am! Seriously! They were so excited - both men & women! Her show is sensual but elegant & fun. I got very lucky to have booked Anna! Thank you very much! And yes TOTALLY RECOMMEND! Very professional, kind and great with the kids! They absolutely loved her and she was the life of the party!!! Very talented and beautiful. Would definitely recommend for any type of party!!! Thank you Anna!!! Thank you so much:)! 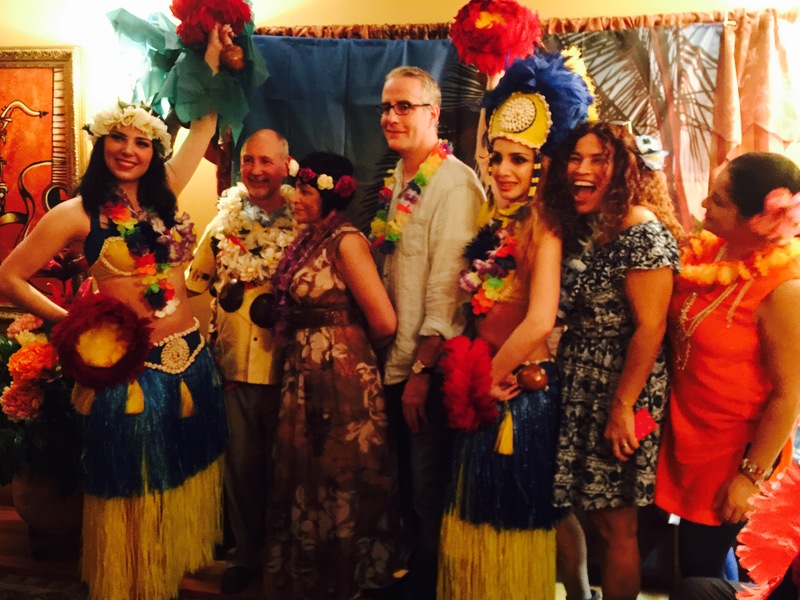 It was truly my pleasure to be part of your event! Awesome - would hire again and recomend to everyone!!! Anna was awesome and fantastic. 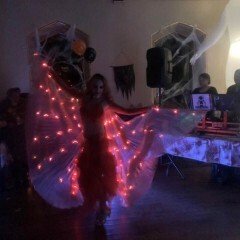 An incredible belly dancer. Perfect for our family friendly anniversary party. 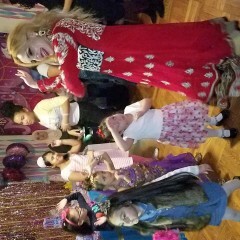 Let my daughter dance with her and got other guests up to dance with her too. Really got the crowd into the moment. 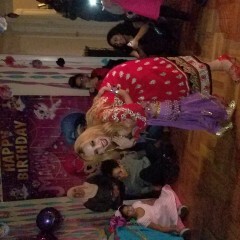 I even was belly dancing and loved it! Will hire her again and would highly recommend her for your party!!! Thank you Jennifer, it was truly my pleasure:)! Thank you Lew:) it was truly my pleasure to be part of your celebration! 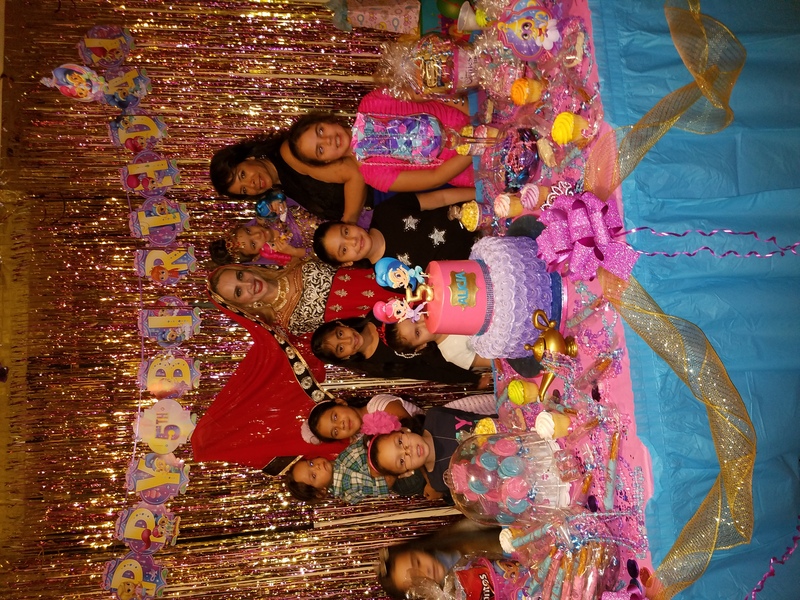 Thank you Anna for making my daughter Alicia's 5th birthday so over the top memorable, your performance was extremely exciting and we all loved it. Your performance was beyond my expectations and I am forever greatful. I look forward to working with you again and will highly recommend you to anyone looking for great entertainment. Thank you once again from Alicia and I.
Anna was very responsive, gave me a quote and I booked her immediately. Her prices are very reasonable. She is VERY interactive and engages with the crowd. 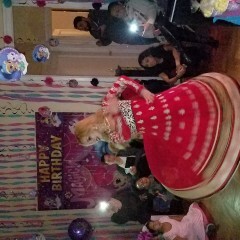 She performed at my husband's 40th surprise birthday party and EVERYONE loved her. I received SOOOO many compliments about her. She was AMAZING! She performed a dance with LED light wing outfit, she did a back drop to the ground, she danced gracefully with a sword and so much more. 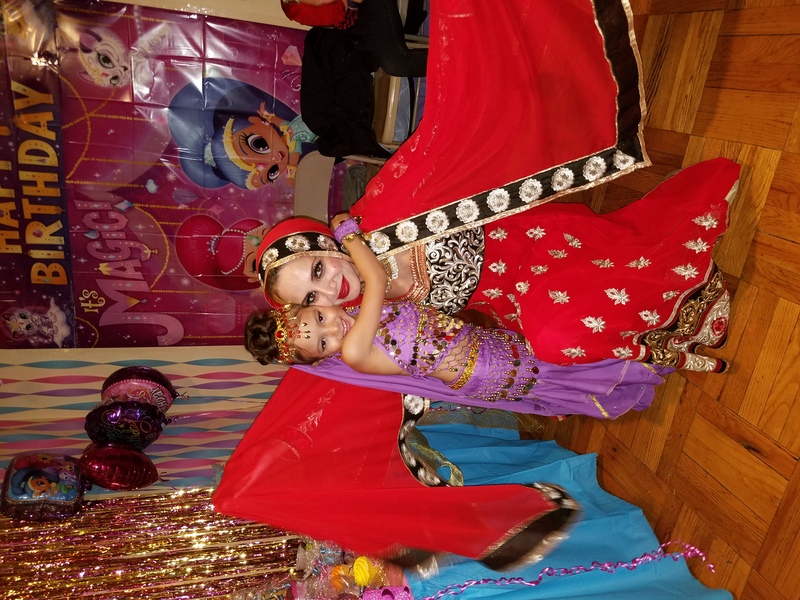 Our background is middle eastern and we are familiar with belly dancing, she dances with emotion and skill. Every movement is properly calculated and coordinated with the beat and lyrics. Her music selection is awesome and very appropriate for belly dancing. I look forward to booking her in my future events. Book her for your next event, you will not be disappointed. The ladies arrived on time and did a great performance. I hired Ann and her associated for my birthday event. The show was fun and vibrant but unfortunately she was an hour late and so many of my guest had left for the evening already. The remaining guest really enjoyed the show and she stayed an additional 15 minutes of her show time. Thank you so much Elizabeth:)! It was truly my pleasure:)! Anna is by far the best belly dancer out there! Her friendly attitude and expertise in various dance routines was intoxicating. Book her today as you will be happy that you did! Anna was fantastic from pre-planning through to the event. She is professional in all aspects. Her show had everyone in awe! She was great at getting people involved and improvising. Outstanding, energizing performance. Highly recommend! Anna is very nice, I brought her as a surprise everyone loved her she does a exceptional job, she was lil late but everything work out fine. I would highly recommend her. Anna is awesome and entertained the guest and involved all ages including kids . Always responsive to messages and very prompt and punctual . Highly recommend Anna !! Thank you very much, it was truly my pleasure:)! 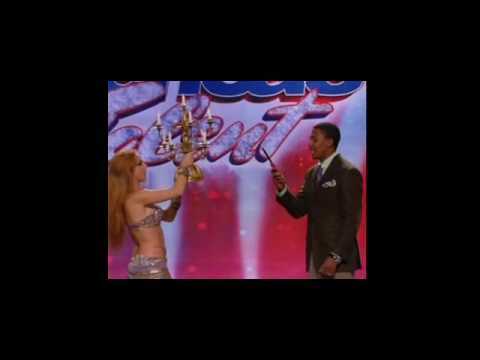 BEST BELLY DANCER I HAVE EVER SEEN! Very professional, i will absolutely recommend her services to all my friends! Thank you Anna for making my anniversary party memorable ! I booked Anna as a surprise for my husband who turned 50. Her performance, as well as her partner, was outstanding. My husband loved it and so did the other guests. Both were very professional and interacted well with the crowd. I would definitely book her again and refer her without hesitation. Thank you Anna! Anna did a fantastic job! 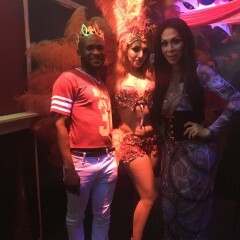 She had a beautiful samba costume and really accommodated us. Although the venue did not play her music, she worked with the situation by dancing to the music the venue provided. Anna's was a lot of fun and entertained the crowd! I highly recommend her! 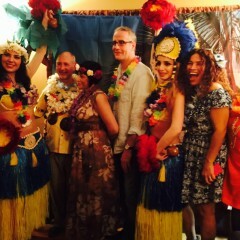 We had a birthday luau for my daughter and Anna performed her hula and fire dance. She is beautiful, talented and went out of her way to make sure my daughter felt special. The kids (and adults) absolutely loved her. The performance was spectacular! She is a talented dancer and had beautiful costumes and props. And most importantly the time she spent interacting with the guests was definitely one of the highlights of the party. She was very professional before, during and after the party. I would recommend her to all my family and friends and would love the opportunity to work with her again! 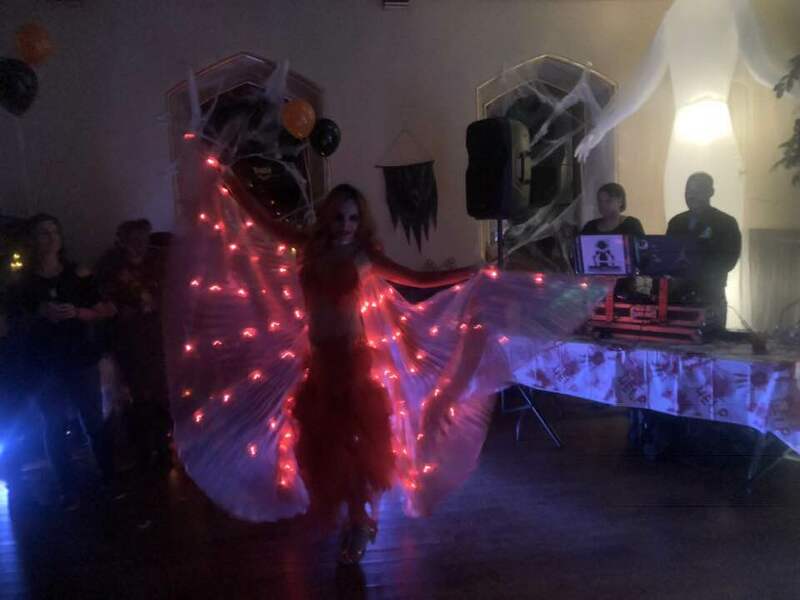 You will not be disappointed having Anna at your next party! Anna is a professional entertainer who puts on a wonderful show. She arrived early, was very accommodating with all of our requests and was excellent with our group of 10 year old girls! In the words of my birthday girl: "Anna is amazing! Everyone loved her!" Highly recommend. I was a bit disappointed due to her extremely late arrival time (was suppose to start at 2, and didn't arrive until 3:20). I understand that traffic can cause delays but I also believe that traffic should be considered a factor when planning your performance event. 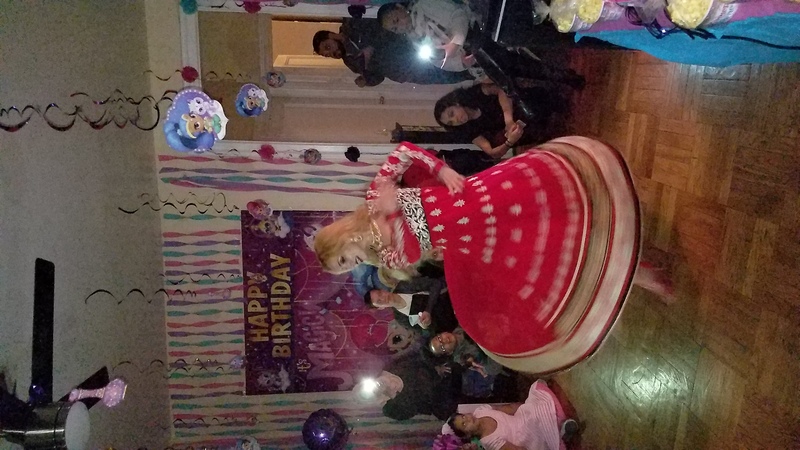 Once she did arrive, our guest thought she was amazing as did I.
Anna's performance was a great addition to add for my husbans's birthday. Her show was great and everyone enjoyed it. I give my utmost recommendation to Anna and her wonderful dancers. 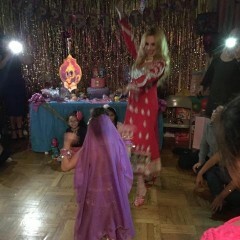 We hired Anna and her dancers to do traditional Indian Dancing. The performance was amazing. The Wedding guests loved them and the value was amazing. 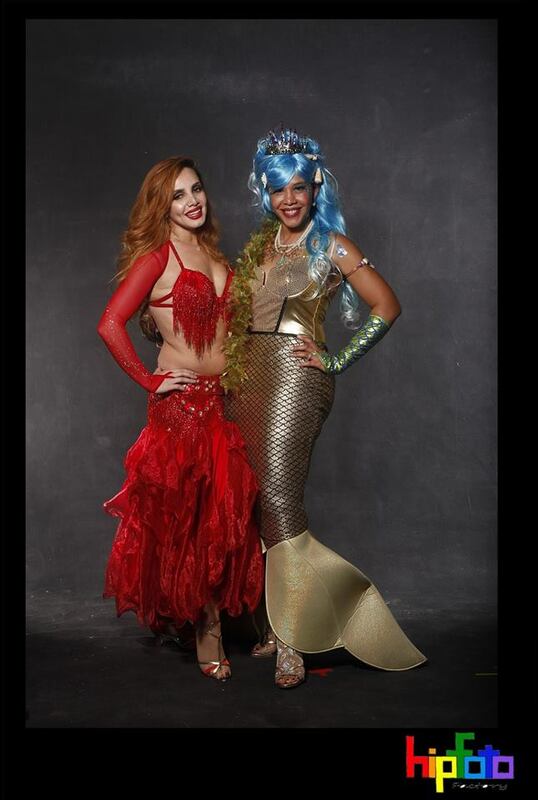 The costumes, guest interaction, the value and energy amazed all our guests. Thank you for being the entertainment at our wedding. Very professional. 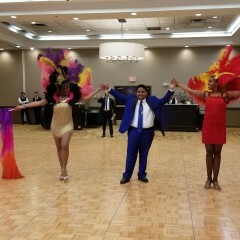 Anna & her group performed at my neice's sweet sixteen & guests are still talking about the great dance show they put on. So glad I contracted her. Highly recommend. 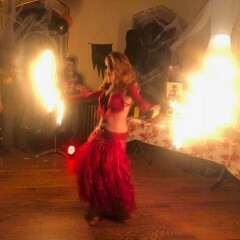 Available for all occasions up to 10 belly dancers ! 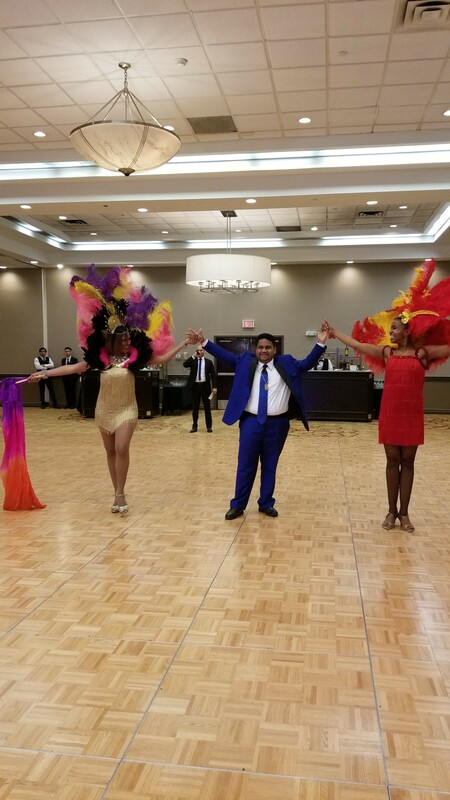 Group of 6 and more can be arranged for big events by customers request email annapipoyan@aol.com to customize perfect show for your event. 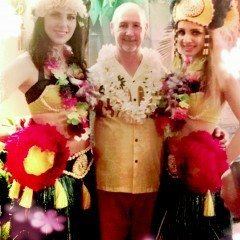 Belly dance show very well structured to entertain all kinds of guests, 30-min. performance consists , Drum solo, dance with Wings of Isis, Candelabra (Shamadan), fan-veils, sword,SILK POI DANCE ,DANCE ON DRUM, and of course dance participation and interaction with the audience . Also live Moroccan band along with drummers available upon request. 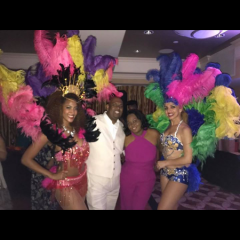 Anna's world entertainment provides variety shows and entertainment and Anna's world event planning provides decoration for all events. Anna has performed in theatrical settings as well as corporate and private events.You can watch Anna's sold out concert in JOE'S PUB at Public Theatre ,Le Poisson Rouge, United Nations for prime minister of France, High line ballroom sold out concert .She has also performed for many celebrities at their private events: Beyonce Jay Z at 40/40 club in NYC, at welcome party for ambassador of Dubai, Mikhail Baryshnikov, Henry Kissinger, Barbara Walters, Oscar de la Renta (designer), Marc Jacob's 1001 arabian nights holiday costumed party at Rainbow room. She was also featured in concert with European singer Ingrid. Latest appearances include MTV's my Sweet 16 program showing her belly dance performance. 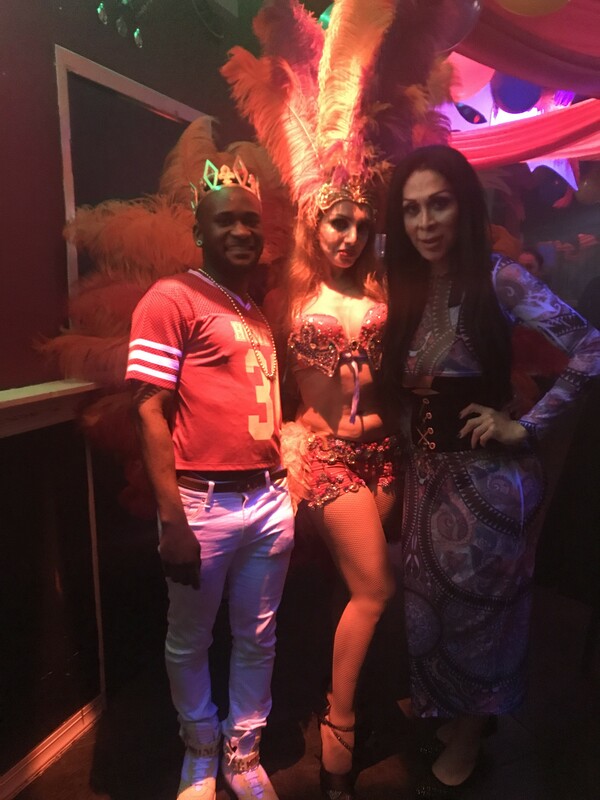 Recently Anna was featured as a main belly dancer in DON OMARS "Salio el sol" music video to watch it visit her web site and click at videos,as well as performed her "Live python show" at GUNS AND ROSES band after concert party. Anna had her own sold out concert twice at the legendary Joe's Pub at the Public Theatre. She also had appeared in movie " Autumn in New York" as a gypsy dancer, directed by Joan Chen starring Richard Gere and Rider. Anna had television appearances on MTV, ESPN, CBS she hosted and danced program "pick 'em football" ,you can see video in her website,Persian TV,Russian RTN, and appeared in various commercial on Russian television RTV.She was involved in modeling as well as in commercials. With her solo act of variety of dances, Anna has traveled all over United States. Currently Anna has created her own entertainment company "Anna's World Shows" were she represents variety of many talented and professional artists such as samba dancers, fire performers, flamenco dancers, Latin ballroom dancers, hula Hawaiian, Bollywood Indian dancer.She incorporates them all and creates a unique and versatile shows with variety acts and dances.Anna believes that true performer can shine in any setting weather its theatrical stage or private event and show can be done tastefully,its all about entertainment and 100 % positive energy.To get more information about performers and variety of shows you can can visit her website www.annapipoyan.com for more information. 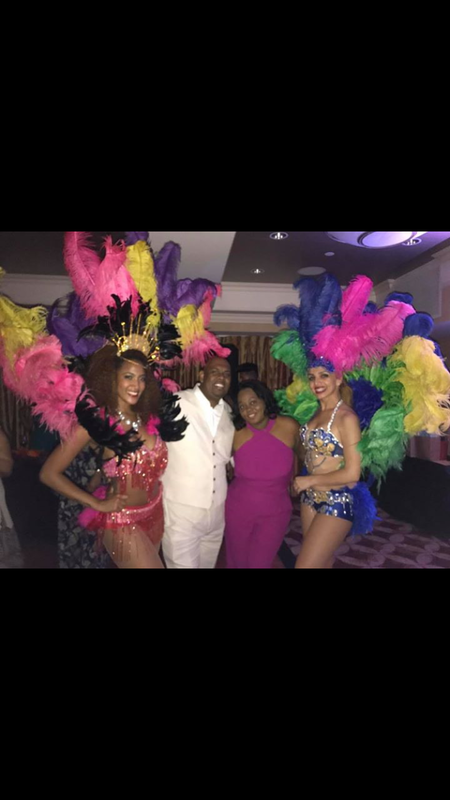 Anna offers variety of theme party decorations such as ,winter wonderland, Great Gatsby,hawaiian luau theme,arabian night theme ,Bollywood theme ,Mardis Gras and much more . Please email pipoyan@gmail.com for all available party decoration services .